Do you believe you are entitled to an Australian tax refund? If the answer to that question is yes, make sure you visit the Australian Tax website today. We are an established business based in the heart of the country that are Australian trained and registered tax agents that specialise in providing Australian income tax services. Our team have lived and worked in Australia for almost a decade and are members of a number of professional institutes. Now based in Ireland, we are providing Australian tax services to clients worldwide, using our professional and personal experiences to get the best tax outcome for all clients, no matter how big or small.  As a business, we also work very closely with our Irish partner firm to ensure clients remain tax compliant in both Ireland and Australia while minimising worldwide tax and maximising refunds – so you know we are the business you need to go to. Here at Australian Tax, we have an excellent reputation for our customer advocacy and reliability as a business. This is something we hold great pride in upholding with each of the clients we work with, as part of our excellent customer service guarantee. Customer satisfaction is also something we take very seriously as a business, which is why we always ensure our clients are 100% happy working with us, as we try to win their Australian tax refund. If you would like with Australian Tax to claim your Australian Tax Refund, make sure you visit our website today. However, if you would like to have a chat with a member of our excellent customer service team – give us a call on 085 8720746. Alternatively, fill in the contact form on our website and someone will get back to you as soon as possible.